Really. Because I had the quite the opposite reaction. The absence of dialogue in the movie made me acutely aware that there was a lot of sound—in the musical score. It made think: When was the last time a composer had full rein to create music that would be the only thing heard in a film? Not just for a snippet, or a scene, but for an entire full-length motion picture? I’d been curious ever since composer Ludovic Bource took home a Golden Globe for best original score. I’d also been feeling like quite the music nerd every time I saw ads for film, which use a very snazzy, jazzy tune to set the mood. Because that tune happens to be “Sing,Sing, Sing,” made famous by Benny Goodman in 1937, a decade removed from The Artist’s opening setting, and a world away in terms of movie music. An intentional mashup, I wondered? 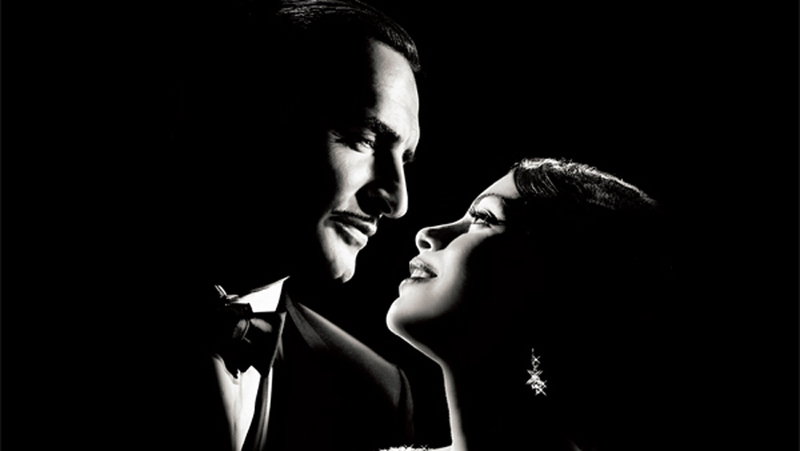 So it was not unexpected that the Golden Globe-winning, Academy Award-nominated score for The Artist turned out to be a pastiche of movie-music genres (sweeping romance, swashbuckling adventure, comic pratfalls) and bits of period song. Until about three-quarters of the way through, when some very familiar strings resound. Oh, look, Bource is referencing Bernard Herrmann’s “Scene d’Amour” from Vertigo for a scene of lost romance. But wait. It’s going on, and on, and on. He’s using the entire thing! The dustup stems from director Michel Hazanavicius’ decision to keep music that had been used as a temporary fill, instead of inserting Bource’s original scene set. The director has said that he was influenced by Hitchcock, so maybe he was making reference to another Vertigo sequence, in which James Stewart’s character follows Novak’s “Madeline” as she drives around San Francisco. The eight-minute-plus scene is often noted as an unusual slice of silent film in an otherwise contemporary big-screen entertainment, underscored only by Herrmann’s haunting music. Perhaps, having repeatedly heard “Scene d’Amour” while working on his film, Hazanavicius, like untold numbers of movie fans before, couldn’t get it out of his head. And therein lies the problem. The use of Herrmann’s iconic love theme for a climactic scene in The Artist has the effect of pointing out just how wan all the preceding music has been. 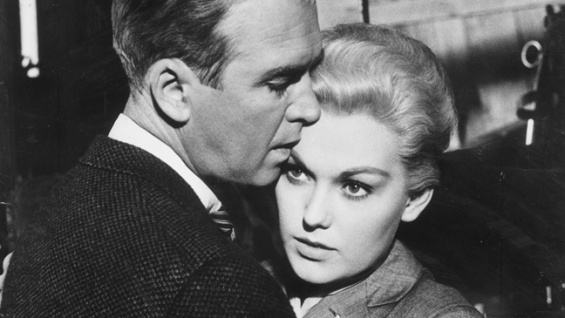 Herrmann’s love theme carries more emotion (desire, joy, pain, longing, foreboding) in eight minutes than all the whiz-bang, in-your-face music that had kept the film aloft to that point. Don’t get me wrong. Like the woman in next chair at the hair salon, I thoroughly enjoyed The Artist and its joyful mix of Hollywood pathos, comedy and romance; I left the theater smiling. It may very well deserve the Best Picture Oscar being predicted. Yet, award-winning though it may be, The Artist is just a delicious French bon-bon, a playful homage to everything that’s come before. And in that way, Bernard Herrmann’s music may be the perfect touch.